As part of its strategy to further boost growth in the tourism and meetings, incentives, conferences and exhibitions (MICE) sectors of Bahrain, the Bahrain Tourism and Exhibitions Authority (BTEA) continues to participate in events and initiatives including global conferences, congresses and exhibitions that showcase infrastructure development with an aim to promote Bahrain as the tourism and MICE destination of choice. 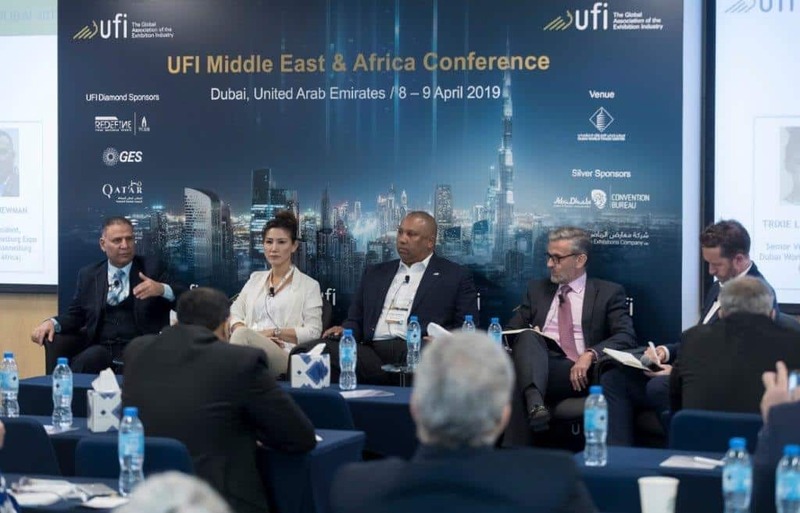 The BTEA’s Director of Exhibitions and Conferences Marketing and Promotion, Mr. Fawzi Tulefat, represented the BTEA in one UFI’s major annual events, UFI Middle East/Africa Conference 2019, which was held at the Dubai World Trade Centre on the 8th and 9th April 2019 under the theme of ‘Embracing Change and Looking Forward to the Future’. Annually, the UFI Middle East and Africa Conference is attended by over 70 member and non-member trade fair exhibition organizers, exhibition centres, associations and service providers related to the exhibition industry. During the Conference, Mr. Tulefat, a panelist on Venue / Organizers – Panel Discussion during the first day of the Conference, actively discussed the new developments in Bahrain’s MICE industry and highlighted the achievements of BTEA including updates on the Bahrain Exhibition and Convention Centre which is expected to be completed in early 2021. The tourism attractions of Bahrain and the new Bahrain Exhibition and Convention Centre will take center stage from the 21st till the 23 May 2019 at the Bahrain Pavilion at the IMEX 2019, which will be held at Messe Frankfurt in Frankfurt, Germany. The BTEA will be joined by seven co-exhibitors from the business tourism and hospitality industry in Bahrain. The IMEX 2019 is an annual global MICE industry event bringing together over 14,500 participants including 3,500 exhibitors from over 160 countries from around the world.